Back cover blurb: A brother chosen. A brother left behind. And a family where you'd least expect to find one. Leon is nine, and has a perfect baby brother called Jake. They have gone to live with Maureen, who has fuzzy red hair like a halo, and a belly like Father Christmas. But the adults are speaking in low voices, and wearing Pretend faces. They are threatening to give Jake to strangers. Since Jake is white and Leon is not. As Leon struggles to cope with his anger, certain things can still make him smile - like Curly Wurlys, riding his bike fast downhill, burying his hands deep in the soil, hanging out with Tufty (who reminds him of his dad), and stealing enough coins so that one day he can rescue Jake and his mum. Evoking a Britain of the early eighties, My Name is Leon is a heart-breaking story of love, identity and learning to overcome unbearable loss. Of the fierce bond between siblings. And how - just when we least expect it - we manage to find our way home. My Name Is Leon is a heart-breaking tale of a little boy and his younger brother separated by the child care system in the 1980s. Leon is taken into care, along with his baby Brother Jake shortly after their Mother suffers a postpartum mental breakdown. They find themselves living with the lovely Maureen, or Mo. An experienced foster Mother determined to give them a better life. Quickly though Social services realise that Jake is an adoptable baby. He is White, where Leon is not. He is a baby. Leon is not. He is well behaved. Leon is... Understandablely troubled. Although well behaved most of the time, frustration with the adults "pretend" faces and whispers, mainly when the social workers are around see Leon prone to being rather light fingered. Leon is distraught when Jake is adopted, something he doesn't fully understand. Deep down he is convinced that his Mother will return for both her sons and they will all be a family once again. Once Jake has gone, Mo is taken ill and Leon's world falls apart all over again. He is taken in by her sister, Sylvia who isn't quite as "au fait" with childcare as Mo and soon Leon is off exploring the local landscape. Here Leon meets some truly wonderful characters that will go a long way to shaping his future. As he learns more about what his colour means and the struggles that lie ahead we see Leon truly evolve as a character. Without giving too much away, My Name is Leon is an incredible debut novel and a 2016 must read. 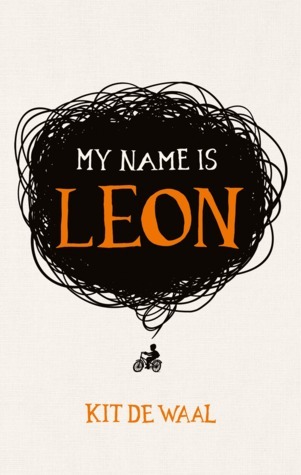 My Name Is Leon is available from 2 June 2016.